The first public train reached Fort William in 1894. It was steam then; now it is diesel. When our train to Fort William arrived, we quickly found our seats, put our rucksacks above us on the luggage racks, and sat back. We were on the left side of the train carriage. ‘It has the best views,’ said one of the passengers. I hoped she was correct. Around us, other train passengers were talking. Most of the voices were Scottish, but there were other languages and accents too. A few minutes later, our four-hour journey started. I began eating my sandwiches and Walter bought a cup of tea from a woman who was pushing a trolley. Eventually, we left Glasgow behind. 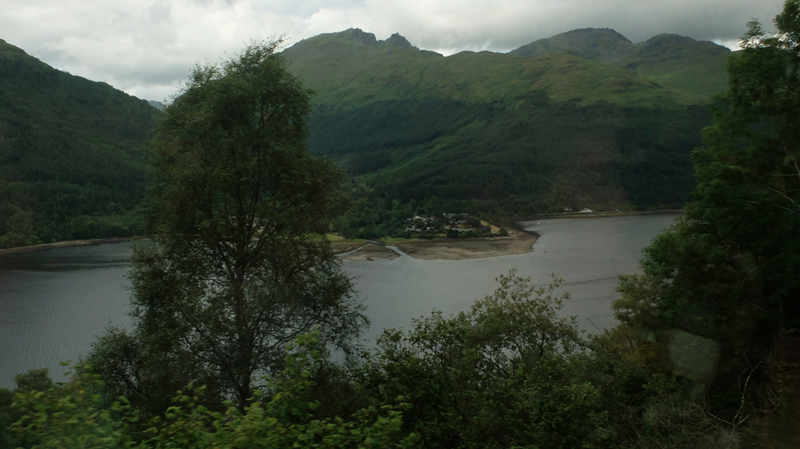 We were now travelling beside Loch Long, and could see the mountains at Arrochar ahead of us. Arrochar is a small village at the top of Loch Long. In the mid-thirteenth century, King Hakkon of Norway sailed to Scotland. He wanted to be king of Western Scotland; and in 1263, his ships sailed into Arrochar. The Scots didn’t want King Hakkon as their king, and they fought the Norwegians at Largs. Thirty-five years ago, Walter and I stayed for the weekend at Arrochar Youth Hostel. On the Saturday, we climbed Beinn Nanairn. When we reached the top of it, there was thick snow and we couldn’t see. It was dangerous, but Walter was good at reading maps. On the Sunday, we had to return home. But we had no money. We couldn’t buy food or a train ticket. We had to walk and hitchhike back to Glasgow on empty stomachs. We laughed when we remembered how hungry we were. This time, we had plenty of cash!